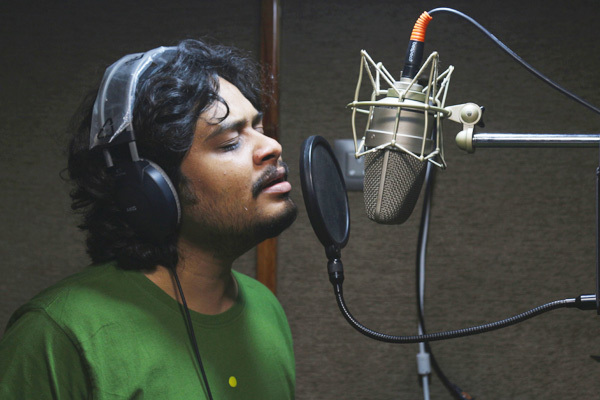 MUMBAI: Raaj Aashoo, the one who has composed for movies like Tutak Tutak Tutiya, Lucknowi Ishq, My Friend Ganesha and has worked with legends like Asha Bhosle and Sonu Nigam has composed songs for an upcoming movie Hume Tumse Pyaar Kitna. The album Hume Tumse Pyaar Kitna comprises of five tracks in it. The other songs are yet to release. The original version of Hume Tumse Pyaar Kitna still lingers in the hearts of people, we just hope this recreation does justice to those legends and their work. MixTape S2: Salim, Jonita's camaraderie blends with mesmerizing melody! MUMBAI: The fourth episode of Bhushan Kumar’s T-Series Mixtape Season 2 is a powerful melange of melody and rhythm. Presented by two ace singers Salim Merchant and Jonita Gandhi, the song has a blend of two famous songs, Dil Mein Ho Tum (Why Cheat India) and Galliyan (Ek Villain). MUMBAI: Music director Vipin Patwa has grabbed a larger share in the world of commercial music with his ambitious Bollywood project, De De Pyaar De. And to add to the celebration, his composed Punjabi number, Vaddi Sharaban, was released first. MUMBAI: Pop star Ananya Birla’s brand-new music video, is all about celebrating women being ‘unstoppable’. MUMBAI: The third episode of T-Series MixTape S2 (Season 2) that released today features Neeti Mohan and Vishal Dadlani.